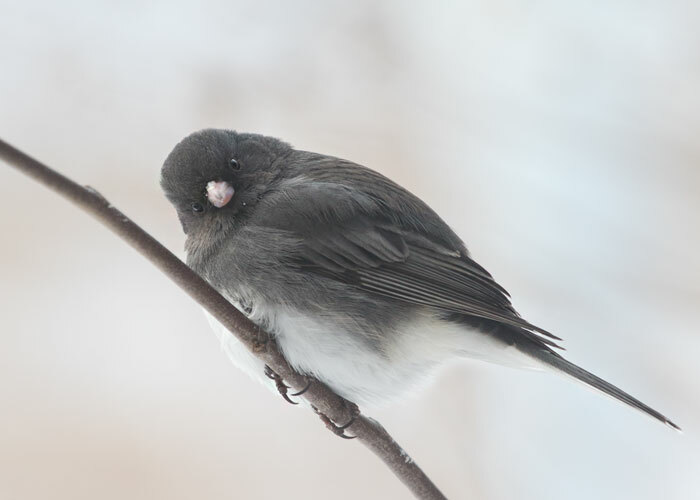 With his belly the color of the snow and his back a stone-cold gray, the dark-eyed junco resembles a little rock. But at minus 4 this morning, there was about a 109-degree temperature difference between this small bird and the air around him. I wonder what he is thinking when he looks straight at me like this.